Hair can get dried out and damaged from the use of heat styling tools, dyes, chemical straighteners, and exposure to the sun. 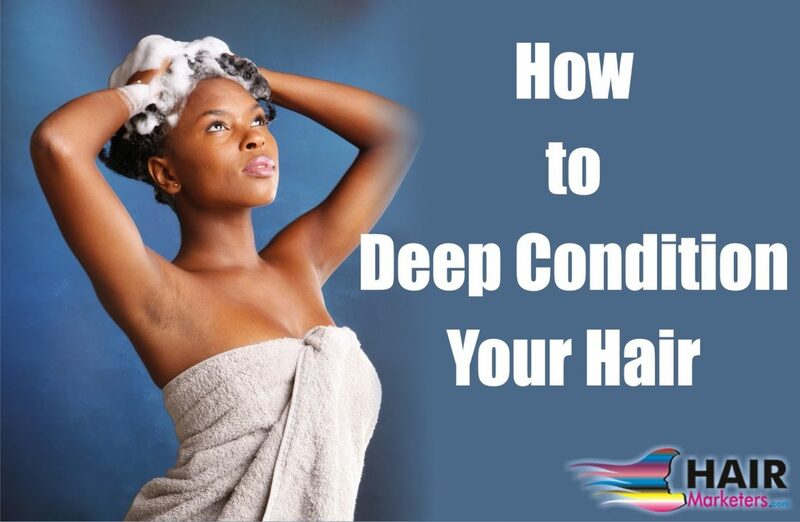 You may want to restore your hair’s moisture and body with a high-quality deep conditioning treatment. The right deep conditioning treatment can leave your hair moist and shiny! 1 – Choose a Product. Find a deep conditioning treatment that’s right for your hair type. There are many products on the market, and while they’re all made to restore moisture to hair, you should find one that’s tailored for your specific needs. – If you are African-American, look for products made specifically for African-American hair. These products usually have olive oil, coconut oil, or other oils. – If you have fine hair, look for products that are described as “light” or “weightless.” Products made with heavier oils will make your hair look weighed down. – If you have curly hair, look for products designed to keep your frizz at bay. 2 – Wash your hair. Use a gentle shampoo that won’t strip your hair too much. Avoid shampoos made with sulfates, which are abrasive cleaning agents that cleanse hair of its natural oils and lead to dryness and breakage. 3 – Apply the deep conditioning product. 4 – Let the product set in. Deep conditioning treatments require at least 10 minutes get to the core of each strand of your hair. Check the instructions on the product you are using, as some may suggest being left on longer, but most should work in 30 minutes or less. You may want to keep the conditioner in place by covering your head with a plastic shower cap, but this is optional. Some products suggest using hair dryer to heat up the product in your hair, which allows it to get absorbed into your hair more easily. Use a blow dryer on a low setting to direct hot air at your head and thoroughly heat up the product. Make sure the hair dryer doesn’t get too hot, since you don’t want to melt the plastic cap if you are using one. 6 – Rinse out the product. Remove the shower cap and rinse your hair with cool water, which will tighten the hair shaft and make it look shiny. After rinsing, towel dry your hair gently, then let it air dry and then style as usual. Your hair should be bouncy, glossy and well-conditioned. Wait a few days before shampooing your hair, so that you don’t negate the effects of the conditioning treatment by washing it out.